My husband and I work different hours so quality time during the week is limited. We’ve found that one of the best ways to reconnect is to simply go for a long walk together, away from all distracting electronic devices. 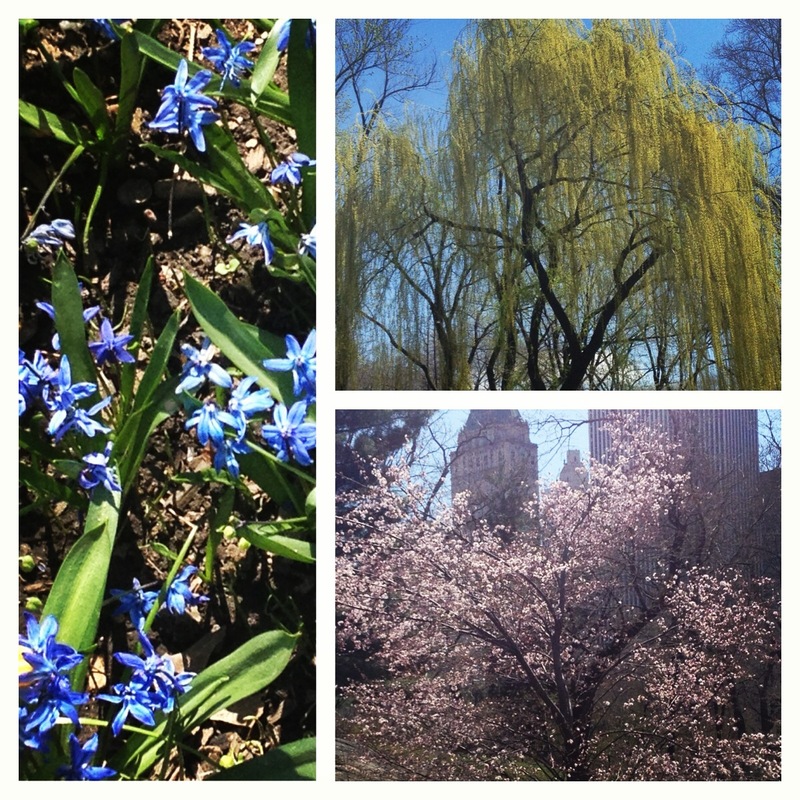 Now that spring is here, we were delighted to ditch the gloves and wander through Central Park. 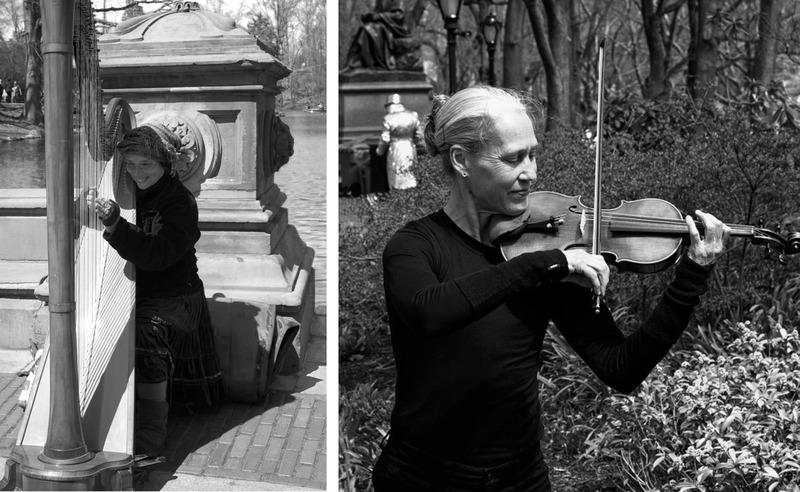 Central Park is hardly a new concept for New Yorkers, but we always have a good time there! On those first beautiful days where everything is blooming, there’s always lots to see, and one of the most remarkable sights in New Yorkers in the same place, all in a good mood! You can find some pretty talented musicians around the park. On this particular day, I think it was official Bach day, as many of them were playing Bach pieces. Both this violinist and harpist were playing Bach…loved it! We also did a quick spin around the Bethesda Fountain. 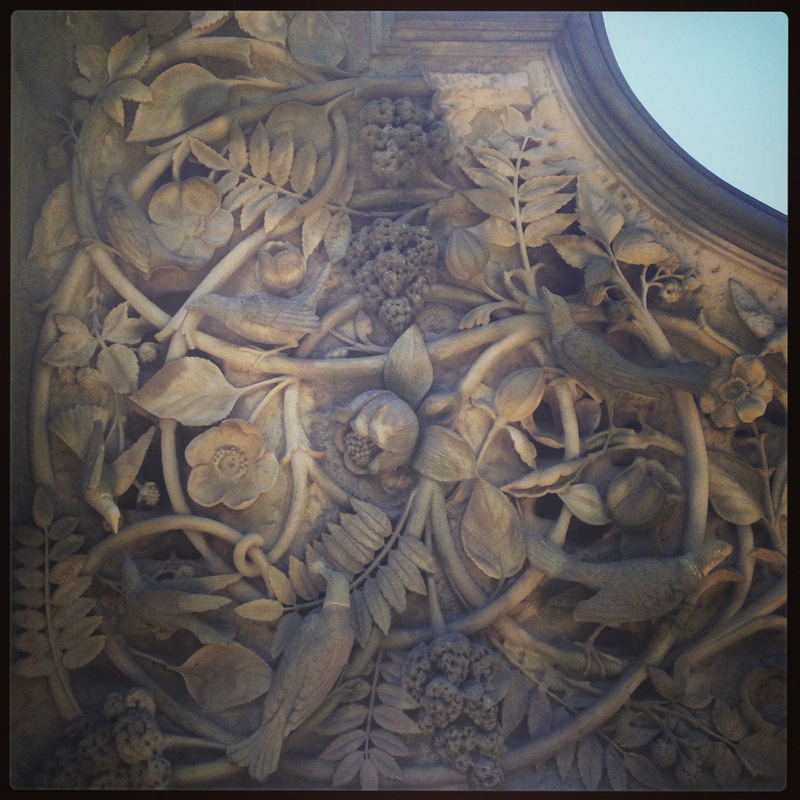 I always enjoy the many details in the staircases! 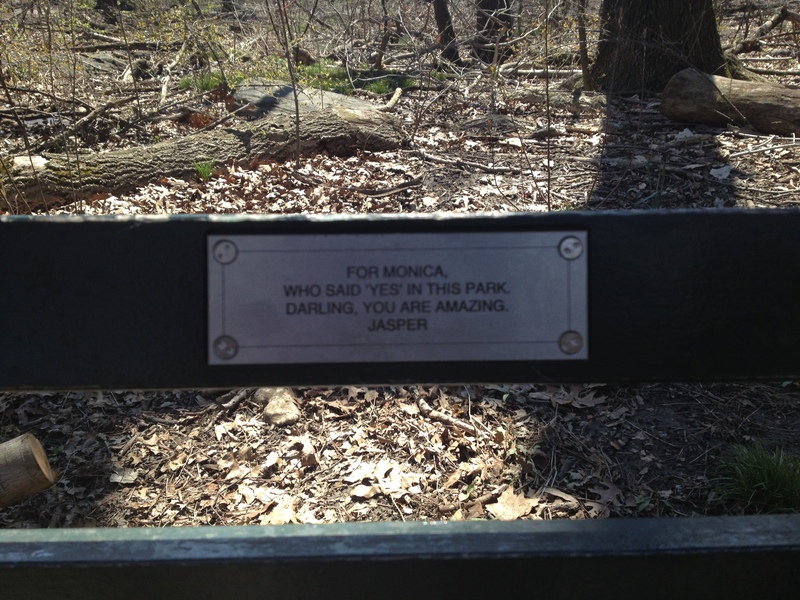 We stopped for a break on this bench…I thought this plaque was the perfect theme for a romance blog!